Roof available in either glass or polycarbonate in a variety of tinted shades to suit individual aspects. Our window and door frames are glazed with laminated glass as standard. 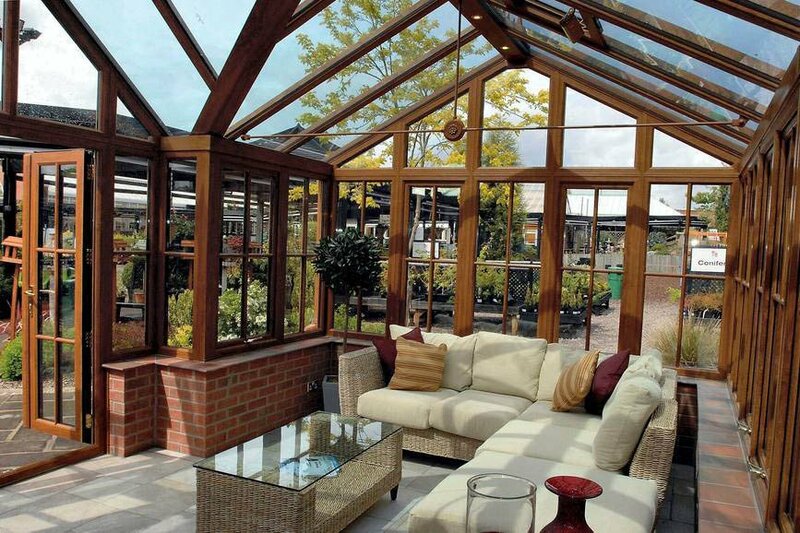 The polythene membrane used in laminated glass acts as a barrier to harmful UV sun rays which is very important in a Conservatory because these rays can rapidly fade carpets or furnishings. In addition laminated glass gives a much higher level of security than even toughened glass. Full range of glazing options including Pilkington Activ TM self cleaning glass, stained glass, bevels and leading etc all to suit individual requirements and budgets.